The Trump administration has imposed a 'Global Gag Rule' making non-U.S. health centers choose between keeping their essential U.S. funding to function and withholding information about abortion care OR being denied this funding because they won't hide information from patients. This means that centers cannot provide abortion services, abortion counseling or referrals, or do abortion-related advocacy. If they do, they will lose their funding and be forced to turn away patients, or even close clinics. This dangerous, coercive, and undemocratic policy impacts women all over the world and undermines U.S. long-term investments in global health. It's time to put a stop to it. That's why we need Congress to permanently repeal the 'Global Gag Rule' by supporting the Global Health, Empowerment, and Rights (HER) Act so that we can ensure that women around the world will be able to count on U.S. aid for reproductive freedom and global health initiatives for years to come. 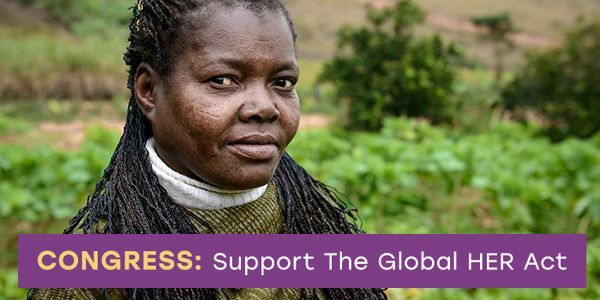 Demand your representatives support the Global HER Act now!